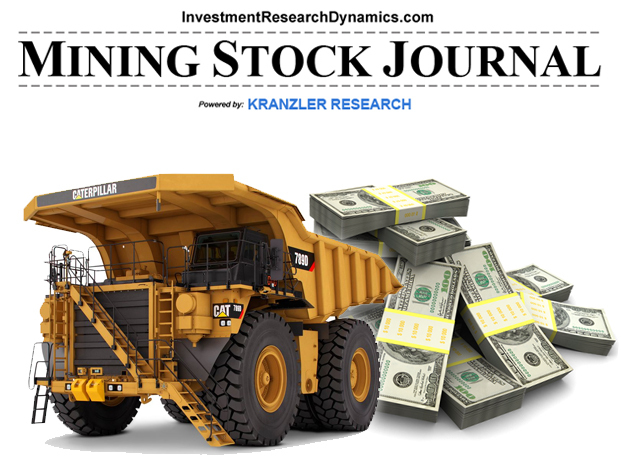 It was inevitable that Kinder Morgan stock was going to bounce at some point. Nothing goes straight down without a dead-cat bounce. There has been a lot of money made on the short side of this stock and prudent traders will take at least 70% of it off the table for now. 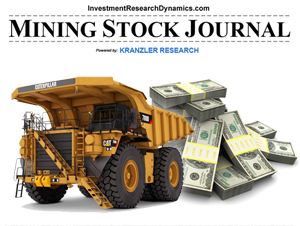 This catalyst alone could stimulate a $3-4 bounce in the stock. As you can see from this graph, the RSI/MACD momentum indicators are deeply oversold and need to bounce for a bit. Retail investors “doubling down” and professional short covering will fuel most of the bounce. Additionally, I am expecting a short bounce in the price of oil, which will help push KMI stock higher. Again, I am not recommending shorting this stock yet. I need to complete my research and will be publishing a full-blown report. I will say that the more I dig, the more I find highly troublesome red flags with its accounting and its business. To say the least, the idea that this company is strictly a fixed, fee-based revenue model with no risk on either end of its pipelines is completely misleading, if not a fraudulent claim by analysts. 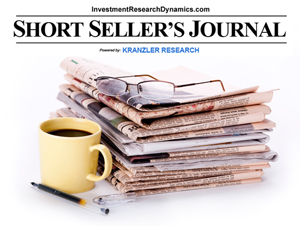 I have introduced a new subscription-based newsletter service called SHORT SELLER’S JOURNAL. 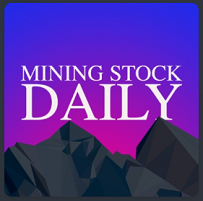 It’s a weekly report delivered to your email inbox with: 1) a brief comment on the previous week’s trading action plus any thoughts on the upcoming week; 2) I will feature 1 or 2 short-sell, trading, or investment ideas – the investment ideas will be primarily junior mining stocks; 3) trading recommendations, charts and put/call option ideas. Here’s what Enron’s stock did before it completely collapsed. To reiterate, I am not making a strict comparison between Enron and KMI. However, I will suggest there is a strong possibility that the intrinsic value of KMI’s business is below $20, if not $10. Furthermore, in this era of insane liquidity and insane valuations being paid for anything that moves, there’s always a possibility that KMI will be bought by private equity firm before the U.S. systemic bubble bursts.